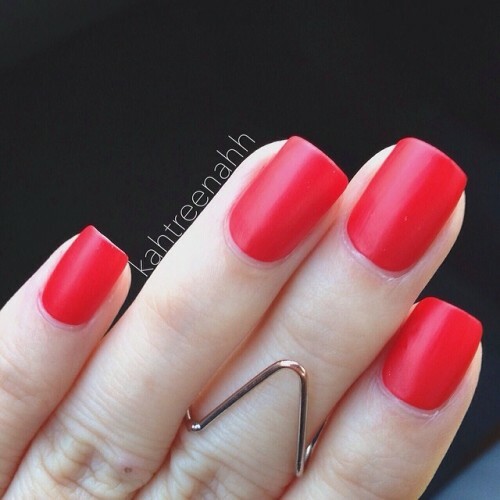 I'm keeping my nails simple for Valentine's Day; sporting a matte red mani. It's so simple but I love it! This is two coats of Essie's Snap Happy with two coats of Hard Candy's Matte Top Coat. Hope you spent a great Valentine's Day!